The problem with taking traditional medicine for Depression are it’s side effects. Some of the side effects can be very adverse in nature. Depression strikes one in eight adolescents every year and it is estimated that up to 15 millions adults are suffering from depression. The condition doesn’t differentiate between gender or age. Ashwagandha is scientifically known as Withania somnifera and is the answer to conventional medicine, however it is obviously not as potent as synthetic lab made drugs. Ashwagandha is a Sanskrit word and its literal meaning is “The smell of a horse”. It is said that people who consume Ashwagandha gain “Stallion like energy” and experience a stress-free mind. It is also considered one of the most powerful herbs in Ayurvedic medicine. 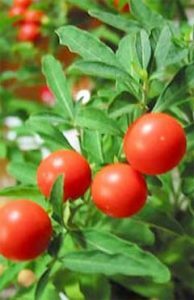 Ashwagandha belongs to the same family as the tomato. It has a plump shrub, yellow flowers and oval leaves. Because of its rejuvenating features, Ashwagandha is often called “The Indian ginseng”, although scientifically Ashwagandha and ginseng bare no resemblance at all. Ashwagandha is also referred to as winter cherry or poison Gooseberry. Ashwagandha has Neuroprotective features which help in relieving stress and other symptoms of Depression. For centuries, Ashwagandha has been used as a remedy for depression, stress relief and insomnia. Known for its naturally wound healing abilities, the leaves of Ashwagandha are used to reduce swelling, heal joint pains and skin sores. There are countless ways people are utilizing Ashwagandha by incorporating it into their health regimen, click here to see Ashwagandha stacks to learn more. Ashwagandha grows in parts of India and Northern Africa and has been used in Ayurvedic medicine to get relief from Depression for centuries. The pungent, spiny root of Ashwagandha plant is collected and used to ease symptoms of many medical conditions ranging from Arthritis to Fibromyalgia. Ashwagandha is suggested often to boost sexual potency in males as well. The additional benefit of Ashwagandha is that this plant is “earth grown” and natural, as opposed to synthetic and man made like Prozac or Lexapro. That’s not inherently good or bad, but generally you are less likely to experience any major side effects from a plant that has centuries worth of use behind it, but again this may come at the cost of not being as potent, but if you let it “build up” in your system and adhere to your stack, you should see benefits over time. How does Ashwagandha work for Depression? Ashwagandha is recognized as an adaptogen, which implies that it is in the class of supplements which generally help your body deal with stress and normalize it, so for example, the Korean ginseng is another example. 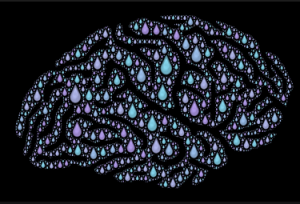 Using Ashwagandha for Depression stimulates the process of Adrenergic signaling to hinder the impact of chemicals connected with the symptoms of Depression like clonidine and reserpine. It works in the same way as the supplement Yohimbe as well and helps improve the effects of compounds like SSRIs for depression. 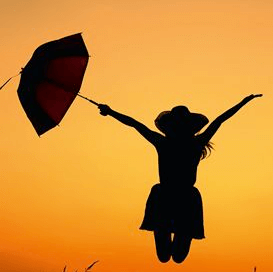 Creating a de-stressed, relaxed feeling for body and mind, Ashwagandha replaces depression related symptoms such as hopelessness, gloom with peacefulness, mental clarity and feelings of lightness. When taken in large enough amounts, Ashwagandha acts as a mild sedative which helps to return sleep cycles to normal. Ashwagandha also helps with the medical conditions that are vaguely related to depressive symptoms. It’s likely that people who are diagnosed with depression, can also develop conditions which are not directly related to depression. For instance, chronic pain disorders are common for people who are diagnosed with depression. Ashwagandha is observed to ease the pain that is a caused by chronic conditions such as arthritis and fibromyalgia. The rejuvenating features of Ashwagandha make it an immediate choice to treat Insomnia as well. Ashwagandha calms the central nervous system, relaxes the mind, eases stress and fights sleeplessness. Ashwagandha is used as a powder with the mixed in milk and honey for regulating sleep cycles in India. Other ways it is consumed in India is in a natural food called Chawanprash, a mixture of many natural herbs along with honey, grass-fed ghee and sesame oil, it is primarily given to kids as a general health aid, much like multi vitamins are given in the West. How is Ashwagandha better than Prescription Anti-Depressants? Ashwagandha is proven to be safe for regular consumption. Key neural structures are observed to improve with the use of Ashwagandha by hunting for destructive free radical molecules. It is also not known to be habit forming in anyway. Side effects for people with auto-immune diseases related to high blood pressure, thyroid disorders or auto immune diseases may find their conditions aggravated by the root of the plant. The same warning goes to pregnant women, it is advised that you consult your healthcare provider if you have any of these pre existing conditions and still want to start supplementing on Ashwagandha. 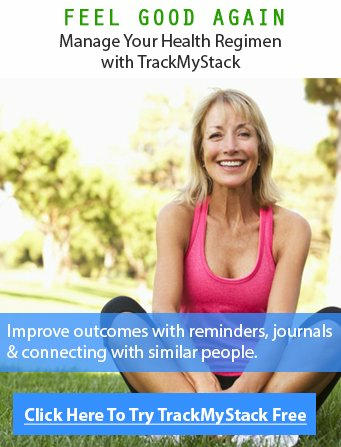 Might we add that tracking how you reach and recording your results on TrackMyStack will be useful to you, your family doctor and people around the world who can learn more about how well it is tolerated and what the effects are. It is also advised that Ashwagandha not be taken along with the prescription sedatives or MAOIs as using Ashwagandha for Depressions acts as a natural MAO inhibitor by itself, increasing the levels of Serotonin and Dopamine. Ashwagandha should not be taken in conjunction with prescription drugs such as Moclobemide or Harmala. What’s the right dose of Ashwagandha? The right dose of Ashwagandha depends on the severity of the Depression symptoms. For most patients suffering from Depression, a strong and effective dosage of Ashwagandha would be about 6000 mg per day which is to be taken in 3 sittings. However, based on patient reported data on TrackMyStack, the most frequently dosed amount is 500mg, 1000mg and then 6000mg a day. The mentioned dose should be enough to relieve you of the effects of stress and this can only be done by you starting low and working your way up and recording how you react to it to determine the perfect dose for you. When taking a dose of 300-500mg per sitting, Ashwagandha can produce some visible results if the patient has very mild symptoms of depression. If you would like to BUY Ashwagandha, click here.